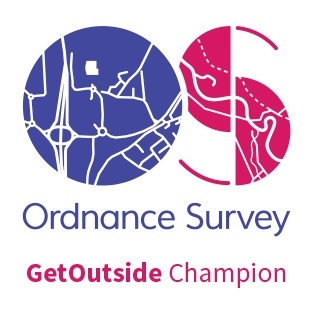 Here’s a fun little game to play as a family (or as a school class, scout group, or even a walker’s group) to help learn and test your knowledge of the Ordnance Survey map symbols. One of the best skills to learn when exploring the outdoors is to easily relate what you see on the map with what is in front of you. Yes, a compass is useful (at least in getting the map oriented the right way), but recognising the shapes of the hills and landmarks such as churches, and these days, radio masts or wind farms, can help you pinpoint where you are when your electronic gadgets are of no use. Fortunately, in the UK, we have excellent maps thanks to the Ordnance Survey. A lot of their map symbols are self-explanatory (our 5-year-old did amazingly well)….but there are a few symbols that are not immediately easily recognisable. Well, here’s a fun little game that will help your family learn some of those map symbols. It’s called Map Symbol Bingo. If you are used to normal bingo, Map Symbol Bingo is very similar, but with a slight twist. Instead of the caller reading out numbers, they read out map symbols. For example, ‘Telephone‘, ‘Radio Mast‘, or ‘Church with tower‘. You can cut out the caller cards and place them in a hat or bag and pull them out at random. Players have sheets with rows of map symbols. If a symbol is called out that they recognise, they cross it off. You can either play lines (when someone has crossed off an entire line) or you can play for a full house (when the whole sheet is crossed off). We’ve created three levels of difficulty: Entry Level, Intermediate Level, and Advanced Level. 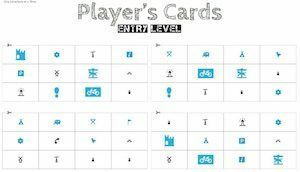 If you have young kids, start with the Entry Level caller sheet and player cards. Finding that too easy? 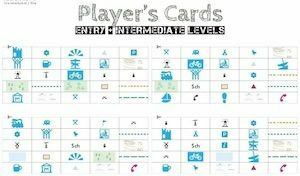 Cut out the Intermediate Level caller’s cards and add to the Entry Level caller’s cards, and switch to the Intermediate Level player’s cards. These have a mix of Entry Level symbols plus a few more difficult ones. Fill in the form below so that we can email you the Map Symbol Bingo cards. The Bingo Cards will be in a PDF file so that you can print them out.  You will need a colour printer for the bingo cards as some map symbols only differ in colour. This is a great way to teach your kids map symbols. Enter your name and address and we will send it to you. Success! 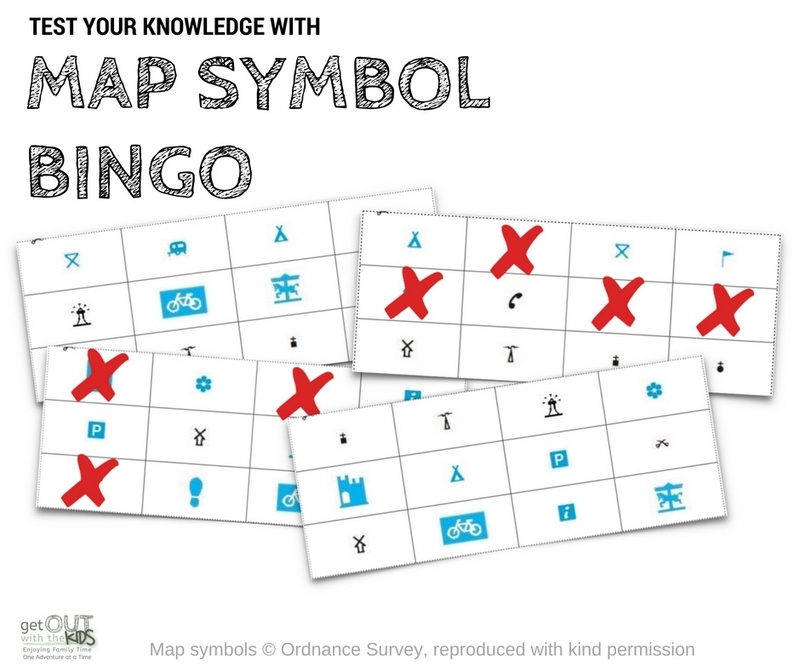 Now check your email to confirm your subscription so that we can then send you the Map Symbol Bingo game. Please note, the map symbols © Ordnance Survey, and have been reproduced with their kind permission. When your kids have learnt a few map symbols, why not see how they do with a real map. You can print maps at home with OS getamap and see if your kids can spot the symbols they know. After that, why not tackle contour lines and teach them how to read a map. 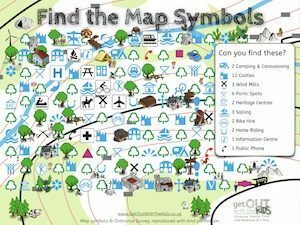 We have more map symbol resources in our Family Navigation course, including a quiz to test your map symbol knowledge. Your file for the map symbols bingo has not come to my inbox? Is this still available as a free download? Yes, it’s still a free download. 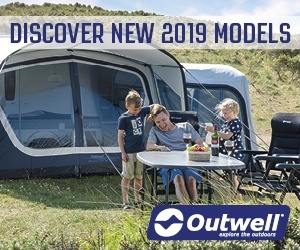 Have you checked your junk folder? games or packs I can obtain to help them.